Landscaping your back yard properly can do wonders to your home. It can create a sanctuary, a safe play area for children, and a space for pets, among other amenities. Whatever you want the backyard to be, you can achieve it through professional landscaping. However, you can only create the landscape you dream of if you’re aware of the major do’s and don’ts in tending to your backyard. Local climate conditions are essential in landscaping and professionals are knowledgeable about this. Hiring an expert is a better option than doing it yourself, especially if there’s a certain theme or aura you want your backyard to embody. Professionals follow a prescribed design process, ensuring that your needs and preferences are taken into account while saving time and energy. 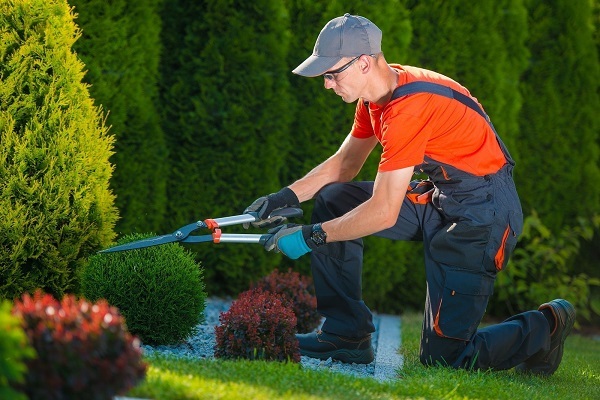 With experienced landscapers like us by your side, you can achieve excellent results without wasting money. In all your excitement about a new landscape plan, don’t overlook the fact that plants grow and change every now and then. This means you have to choose plants that are suited to your yard, as well as your lifestyle. You may want to avoid plants that require high maintenance if you won’t be able to tend to them regularly. You should think about the future to prevent the landscape from becoming a burden as your plants evolve. Backyard landscaping isn’t just about gardening and planting. It’s also about enhancing the curb appeal of your home in in the Myrtle Beach, SC area. Given this, you must determine whether the landscape goes well with the property’s entire look and personality. The landscape shouldn’t look out of place. Instead, it should appear as a natural extension to your home. There are invasive and exotic plants that look good but can be a pain to grow, especially if they don’t thrive in our area. These types can easily wither and die due to poor climate conditions. This could then lead to expensive replacements. To make the landscape more suitable to the area in which you live, know which plants thrive there or ask for recommendations from professionals. This list of do’s and don’ts can help you fulfill your back yard landscaping vision, while saving you money, time, energy and the consternation that comes from landscaping errors typical of first-timers. By enlisting professionals to help you with these do’s and don’ts, you can ensure that your back yard vision materializes. If you’re needing professional help with your lawn this summer, be it the back yard, front yard, or your entire yard, give us a call at 843-246-5598. Or, complete our short form for a free, no-obligation quote on any Myrtle Beach area lawn issues or assistance you need help with. We have more tips for your landscaping projects, visit us on Facebook. We strive to get back in touch with all of our inquiries within 24 hours.